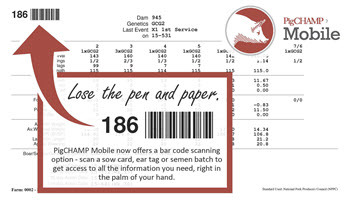 PigCHAMP Mobile is the solution for saving you time and money: eliminate costly errors, reduce staff time spent entering data and improve efficiency by having access to important information and reports right in the palm of your hand. If you are a current PigCHAMP Mobile customer and would like to learn more about how to add this new feature, or you would like to explore how PigCHAMP Mobile can improve your data collection and analysis capabilities, please contact us. 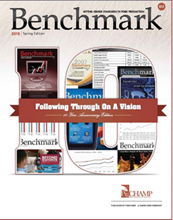 The 2015 edition of Benchmark magazine marks its 10th anniversary. In addition to highlighting the results of PigCHAMP's 2014 Benchmarking program, the magazine features articles from leading scientists, veterinarians and industry partners. PigCHAMP customers were mailed a copy of the magazine in May - if you did not receive one, you can read a PDF online or request a copy. Where in the world are Donna and Jayne? Donna Reise and Jayne Jackson are spending the last two weeks of June in Vietnam, where they are implementing PigCHAMP Reproductive and Grow-Finish software and providing training for Japfa Comfeed, one of the largest pork producers in Vietnam. They are writing about their experiences on the new PigCHAMP Blog. Follow along as they share their impressions of the culture, pork production business and farm life in Vietnam.